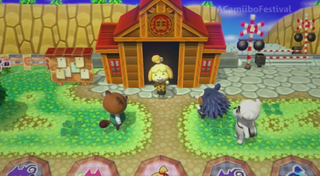 Nintendo is not bringing a proper Animal Crossing to their home console, but, rather, a virtual board game supporting up to four players. Each player uses an Amiibo. Think Mario Party, but with Animal Crossing characters. So, it’s way, way cuter. The game will be out this holiday season.